Dragon Stone isn’t the only place to source glass products. Glass bottles rose to the eleventh most sourced product during Q1 as demand for glass continues to catch up to plastic as it has proven advantageous in terms of hygiene, aesthetic appeal, and durability in the food and beverage industry for packaging solutions. Also referred to as obsidian, dragonglass is a form of volcanic glass that is a known substance that can kill White Walkers and wights. After extensive mining of dragonglass takes place in Dragonstone by Jon Snow and his men for the coming war against the White Walkers in season 8. While sourcing activity of glass products on the Thomas Network seems to be on the rise, so too is the sourcing activity for dragonglass in the mines of Dragon Stone. Metal stamping is one of the most highly sourced categories across the Thomas Network. 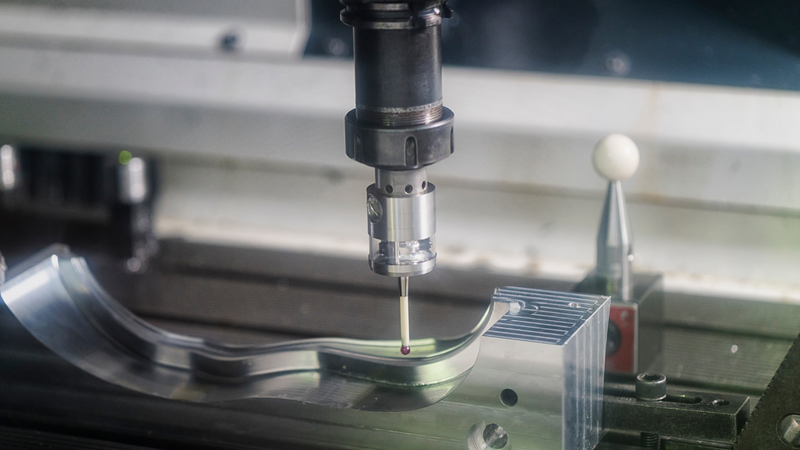 Those sourcing metal stampings identify themselves as tier two or three manufacturing suppliers that are sourcing metal stamping services for parts for OEMs. Depending who is ruling, the Hand of the Queen or King is the most powerful appointed position in all the seven kingdoms of Westeros and next to the King or Queen, he or she has the highest authority and responsibility to uphold. They wear a brooch that is a symbol of who they are, and by the looks of it, a metal brooch like this can be easily metal stamped. Sourcing for chemical products is up more than 4% year-over-year. Thankfully the closest real world substance to Wildfire, Greek Fire isn't being sourced on the Thomas Network. What was once a substance key to the Targaryen power, Wildfire played a key role in the Battle of Blackwater against Stannis Baratheon as well as the Battle of Blackwater and the fall of the Great Sept of Baelor in King's landing, thanks to Cersei. Wildfire is a highly unstable material that can explode when ignited, and is also lethal when ingested. Even the best PPE wouldn't protect you from the hazards of wildfire! Over the past quarter, food products is the third most sourced category by volume on the Thomas Network. Sourcing for Food Packaging, Food Additives, and Stainless Steel Foodservice Equipment is also up as e-commerce and technology-like food subscription services creates new challenges and opportunities for business throughout the supply chain. Although eating well and large feasts seem to be a sign of doom in Westeros. The red or purple wedding ring a bell? Goodbye Starks, and good day Joffrey. Steel: Who Has A Valyrian Steel Sword? Unlike regular steel, Valyrian cannot be forged by your average metal manufacturer. Reforging a blade of Valyrian steel is a difficult process that can only be done by the most skilled smiths. Just as dragonglass, Valyrian steel is another weapon that can kill white walkers. Back in August 2018, Thomas reported an uptick sourcing trend in lumber that was driven by US buyers looking for US suppliers due to United States tariffs. However, lumber prices fell by 43% from June to December 2018, but prices are still 10-to-12% higher than the previous record that was set in 1997. Even with this price decrease, lumber is still in the top ten sourced products on the Thomas Network during Q1. Just don’t tell anyone in Winterfell we’re cutting down one of their Weirwood Trees. Who knows who will win in Westeros but in North America, industry is on top. To get a more in-depth look into sourcing activity over the past quarter, download our 2019 Q1 Sourcing Activity Snapshot.